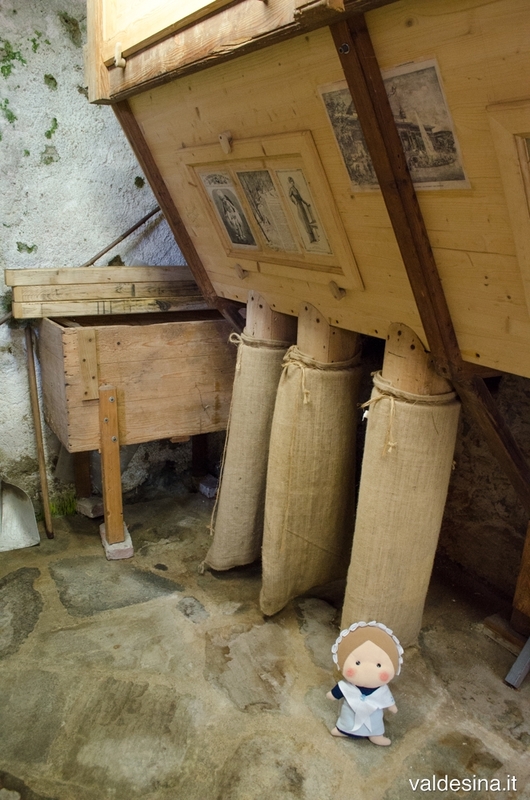 Today I’m gonna show you many pictures from a very special place, and since I do not want to bore you with too much chit-chat… I really hope to intrigue you enough to make yourself go and visit the Town Mill of Bobbio Pellice! 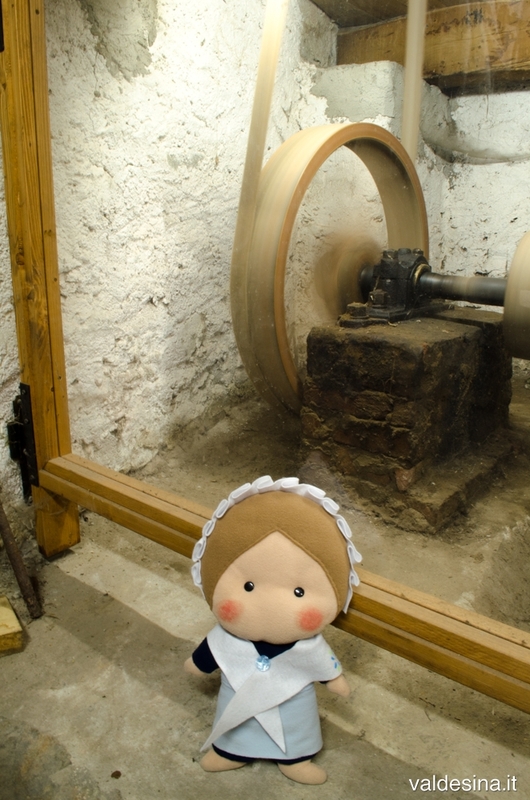 Once mills used to be buildings of great importance ’cause they were fundamental for production of flour and, therefore, for production of one of the main elements of nutrition of people in the valleys… in other words, they were fundamental in order to make bread! This mill is very very old, and recently some documents confirming its existence already in early 17th century were found! 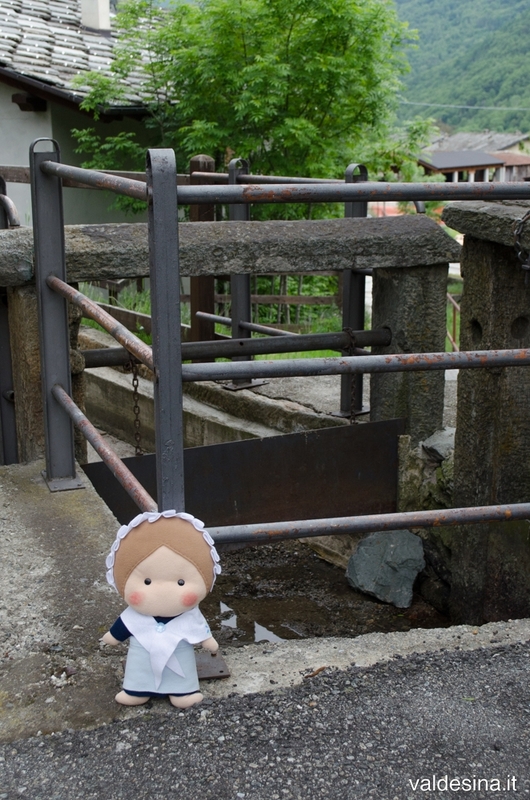 The miller, therefore, had to know how to solve all of the problems that could occur: if there was too much water (or too little) it was up to him to regulate the flow of the channel through sluices and gates; if any machinery got broken, he had to be able to fix it at once in order not to delay the production; he had to make sure that everything worked well and take care of the maintenance (on the cover of this article you can see the hammers that were used with the aim to grant to the millstones a certain roughness in order to grind the cereals properly). In addition to the risks linked to the the proximity of water (think of periods of heavy rain! 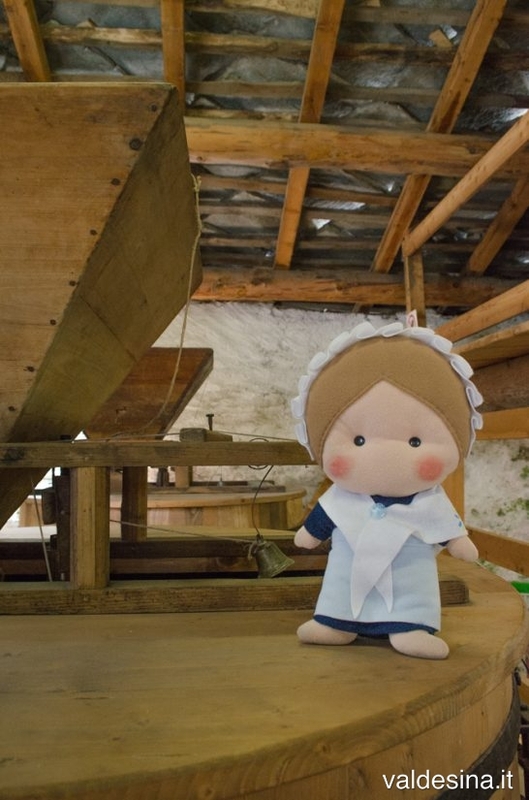 ), millers’ lives were also hard due to the continuous humidity of the buildings which they used to live in and the great amount of flour that they had to breathe every day. Keep also in mind that every mill has a bell mounted on it in order to warn when there are no more cereals inside: the stones that rub together can very easily produce sparks… and flour is a highly explosive material! 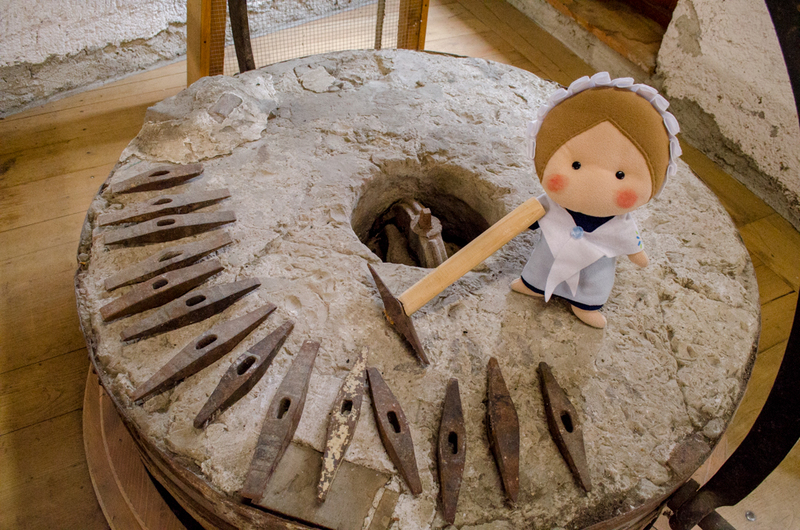 The last phase of processing required that flour removed from the millstones had to be filtered in a machine that, turning, would made it fall through the meshes of a sieve in three different bags depending on its refinement (the first was very fine, the last one was bran). 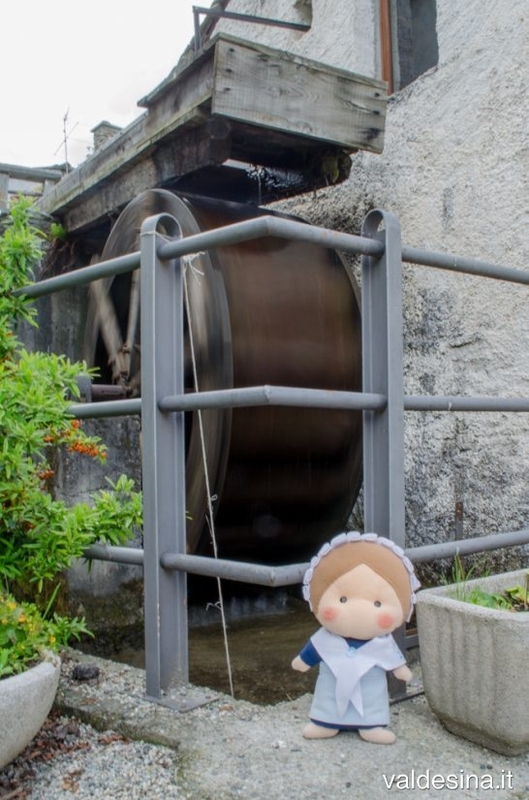 On Saturday, May 19th and Sunday, May 20th, on the occasion of the International Day of the Mills and on the occasion of the “Fîra ‘d la Pouia” (fair of the ascent to the mountain pastures) of Bobbio Pellice, the Mill will be open to visitors. 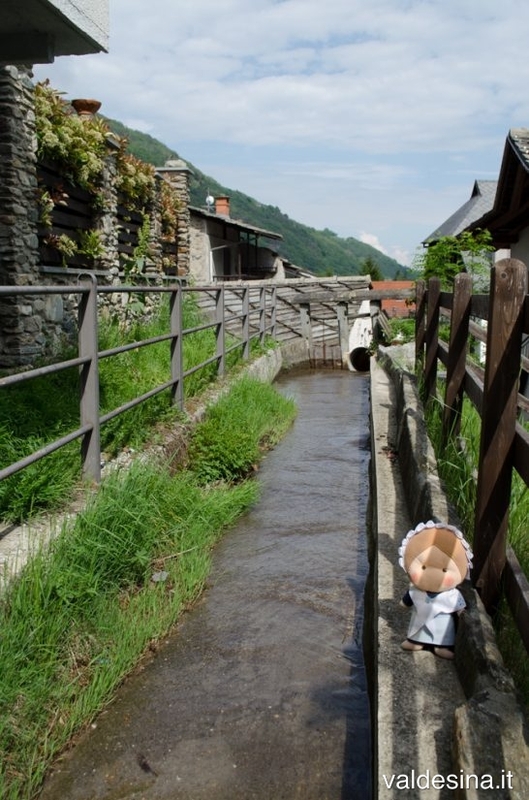 reach the town center of Bobbio Pellice and, just before leaving the village, turn right into Molino St. following signs that will immediately take you there. At the end of Molino St., on your left, you can also visit the Waldensian Temple.